Over 17 years ago, the Ulysses spacecraft was launched aboard the space shuttle Discovery for a unique NASA/ESA mission. NASA has decided to formally conclude the mission on July 1, 2008. Ulysses is a robotic space probe designed to study the Sun at all latitudes. It was launched October 6, 1990 from the Space Shuttle Discovery (mission STS-41) as a joint venture of NASA and the European Space Agency. The spacecraft is equipped with instruments to characterize fields, particles, and dust, and is powered by a radioisotope thermoelectric generator (RTG). The Ulysses mission is ongoing, still collecting valuable scientific readings to this day. However in February of 2008, what scientists had always known began to materialize. The power output from the RTG, which is generated by heat from the radioactive decay of plutonium-238, has dwindled to the point where it is insufficient to power some critical internal heaters to keep the spacecraft’s attitude control fuel from freezing. 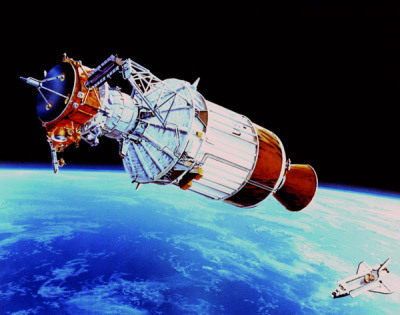 The Ulysses spacecraft has endured for almost four times its expected lifespan. However, the spacecraft will cease operations because of a decline in power produced by its onboard generators. Ulysses has forever changed the way scientists view the sun and its effect on the surrounding space.